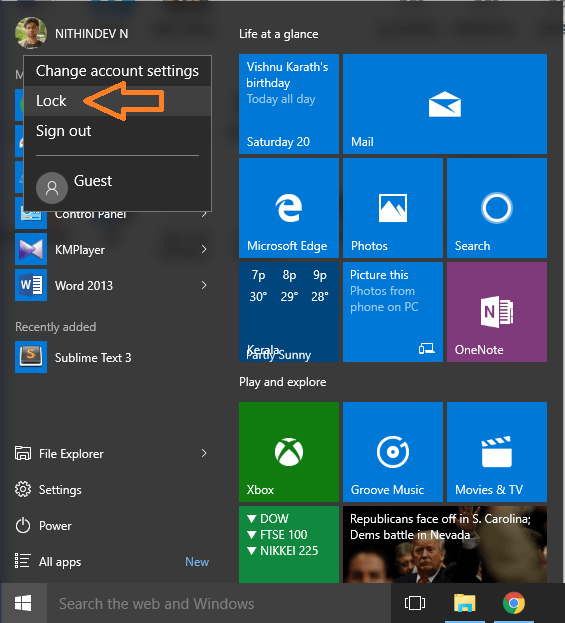 How to Directly Navigate from Start menu to Lock Screen on Windows 10: – You use your PC to do various kind of stuff. You can watch movies, browse online, play games etc. Sometimes, you might be doing some important tasks and you want to leave your desk for a small break to refresh yourself. Now, you don’t want anyone to tamper your work while you are away. Shutting down your system is not a great idea. Because it will affect the continuity of your work. To deal with such a situation, you can lock your system directly from the Start menu. Most users are not aware of this feature. 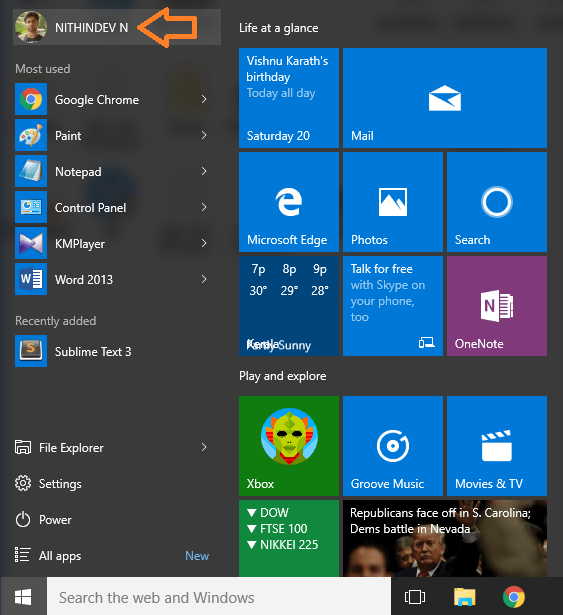 Start menu in Windows is a powerful tool. It allows you to access almost all the features or settings on your PC. Read this post to learn this simple trick to lock your PC. 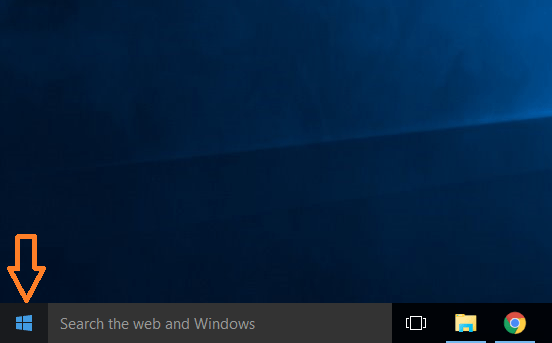 Click on the Windows icon in the left corner of the taskbar to launch Start menu. In the Start menu, your name and picture will be displayed on the top section. Click on it. From the expanded drop down, click on Lock. Now your PC is locked. You can now leave your desk without any fear. The same job in Method 1 can be accomplished by a simple shortcut. Press and hold Windows key and press L. This will lock your PC. Windows 10 has been popular since its release. Microsoft has included some awesome features in their latest OS. These features have received great recognition around the globe. Ability to access almost everything from the Start menu is one of the great features that Windows 10 offers. This makes Windows much more user-friendly than any other Operating Systems available. So you can follow the above-described procedure to lock your PC at extreme situations. Now you have learnt two simple ways to lock your PC at extreme situations. I hope you enjoyed reading the article.